We’ve heard from Evelyn a few weeks ago about her experience in Japan. 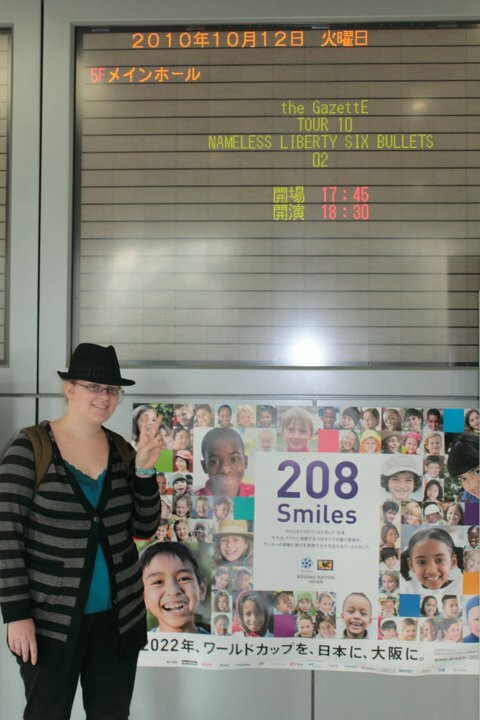 Read below about exciting things Evelyn has been doing while in Japan. During my time in Japan, I have made sure that I went out and had fun that I would only be able to do while here. I’ve gone to see movies, went to a concert, and went to a play, all of which were of things that are only in Japan. The movie I went to, Hana Mizuki, which a blossom from a dogwood tree, was a Japanese romance movie. My friends and I while here at JCMU watched a TV drama, Hana Kimi, together which one of the main actors appeared in the movie. We were all excited about our first experience going to see a movie in Japan and weren’t quite sure what it would be like. The closes theater is in the next train stop over and is a small theater. The most interesting thing about Japanese theaters though is the full menu for ordering food. While the theaters I’ve been to in America have had nachos and finger foods, however movie theaters in Japan have snacks too, they have meals, like curry. As for the theater itself, it was small with only about 10 rows of seats all flat on the floor, meaning no slant. I have had friends that have gone to a large theater about 30 minutes away on train saying it was more similar to America theaters, but the differences in small cities and larger cities is very evident. The movie itself was a tragic romance with an eventual happy ending. I’m quite sure that Hana Mizuki is not like most romance Japanese movie though. The story took place in both in America and in Japan. American stereotypes are exist and as an American watching the movie, it made me laugh, but it didn’t distract too much from the story. Overall, it was a wonderful movie that I would love to see again. I would like to make another trip to the theater before leaving to see another movie, but with only a little bit of time left, I might not make it. 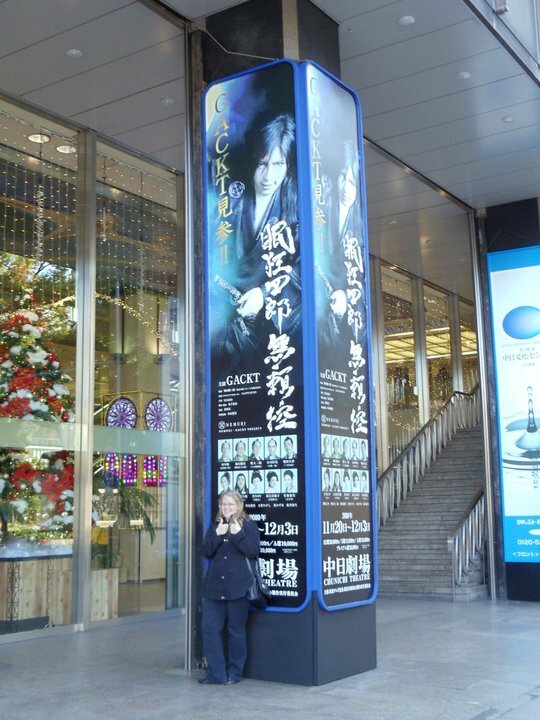 The next activity I did was going to a concert in Osaka. I went to see the Visual Kei group, the GazettE. Visual Kei is a genre in Japan, mostly of men groups where they dress extremely and play rock music. Within Visual Kei, the GazettE, is in one of the styles where they dress in very flashy punk outfits and play extreme rock. While in America, I would listen to their music a lot, so I was excite to get to see their concert. I went with two friends from JCMU, who love the band very much. The Japanese fans for the GazettE ranged from middle school students who just got out of class all the way to middle aged women. It was quite surprising. Also, many of the fans were dressed as the members from specific music videos. During the performance, the audience had choreographed movements to all of the songs they had performed. It was quite shocking. I was assigned a seating only seat, so I felt fortunate because I knew none of the moves. We didn’t get back until around 12:30 in the morning, but it will always be a treasure experience. mers. It felt so surreal to be able to go to one of his projects while I was in Japan, and I will never forget this experience. With only a little time in Japan left, I hope to make to the most of it when not preparing for finals and packing. Check back for more from our Global GOLD bloggers! 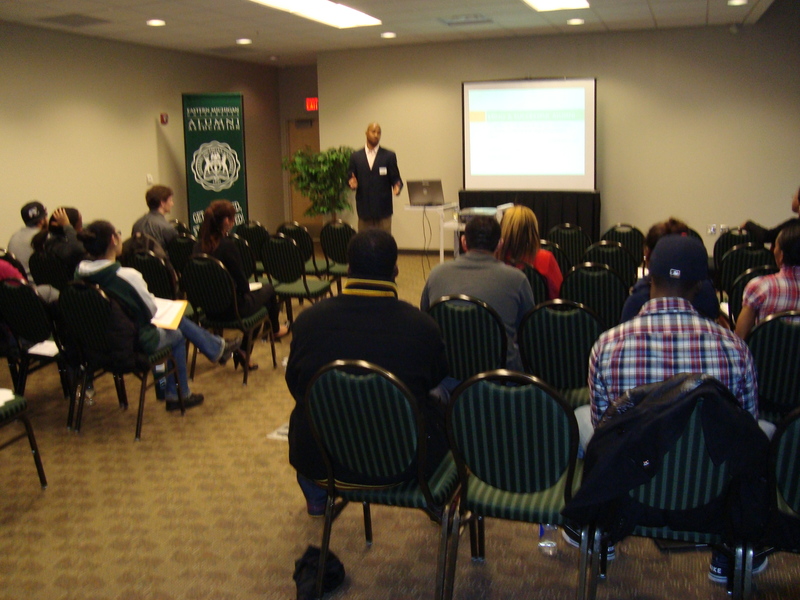 On Tuesday, November 30, SOAR hosted its first Career Development Workshop in EMU’s student center. It was a huge success! Speakers included Lorraine McKnight of EMU’s University Advising and Career Development Center and Brandon Jessup of Michigan Fordward, a non-profit in Detroit. 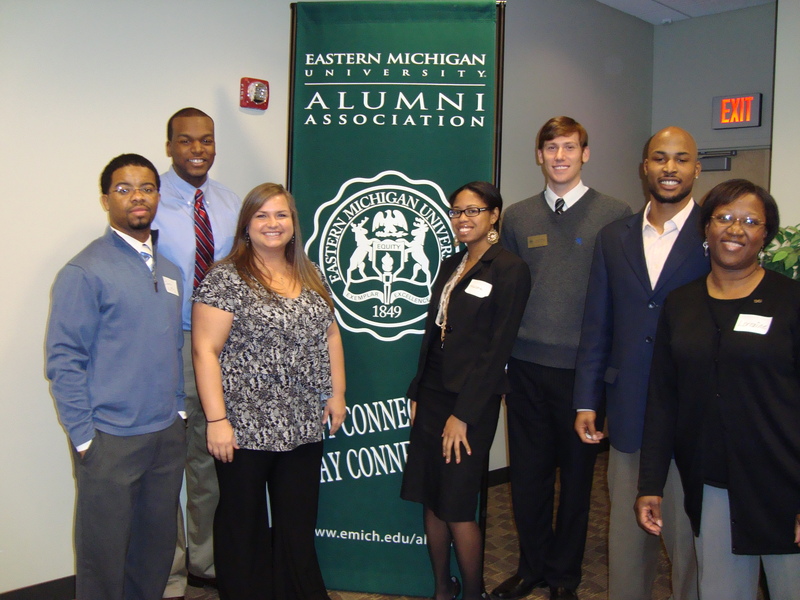 What was so unique about this event was both speakers are GOLD alumni and we also had a few other EMU alum attend the event and speak with students. Overall, it was AMAZING and below are some pictures from the event that I wanted to share with you! 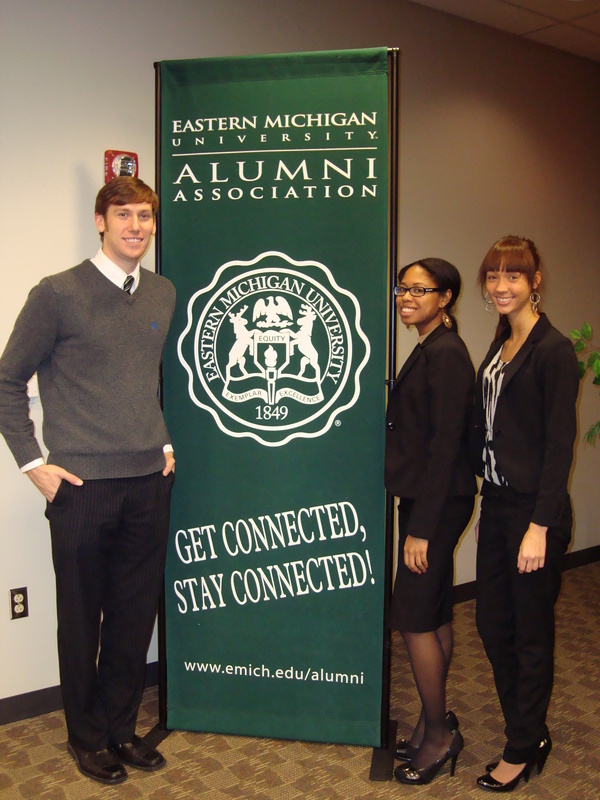 Brandon Jessup making an impact on EMU students' lives. I want to thank everyone who attended the event including students and speakers, event planning in the student center, SOAR volunteers and especially the Office for Alumni Relations for giving me the right tools and guidance to make this event happen! Best to all of you and have a great Holiday Season!